Friuli Venezia Giulia has been confirmed as the host of the 2023 Winter European Youth Olympic Festival (EYOF) here today. The Italian region was the sole bidder for the event at the European Olympic Committees (EOC) General Assembly. The 2023 competition will be the 16th edition of the winter event. EOC members approved the sole candidate, which will see Italy host the Winter EYOF for the second time. Italy also staged the first edition back in 1993, when the competition took place in Aosta. Friuli Venezia Giulia is located to the north-east of Italy and is one of five autonomous regions of the country, with Trieste serving as its regional capital. The city lies near Italy's border with Slovenia. The awarding of the EYOF comes as Italy also bids for the 2026 Winter Olympics, with a joint effort from Milan and Cortina d'Ampezzo. The latter is located in Veneto, which neighbours the Friuli Venezia Giulia region. 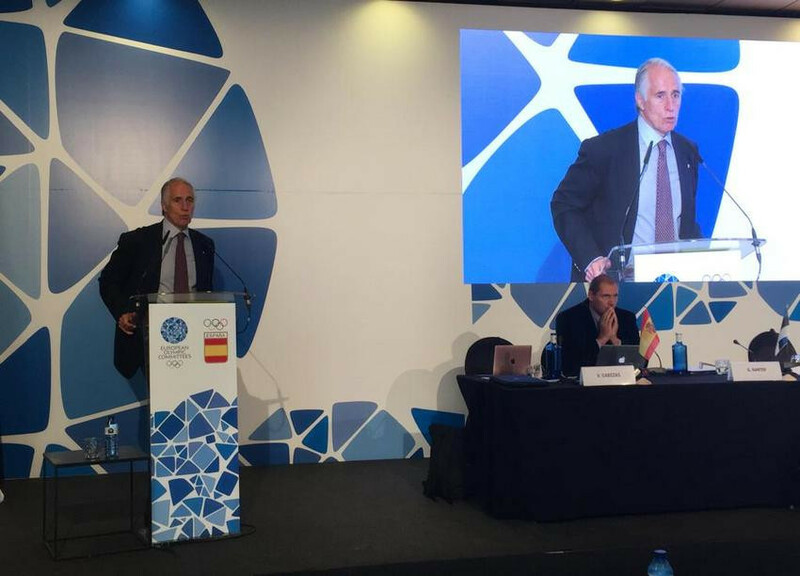 CONI President Giovanni Malagò presented the region's plan at the Assembly, alongside Giorgio Brandolin, President of the Regional Committee and a member of the National Council. The Italian delegation was completed by the CONI secretary general Carlo Mornati, Alessia Rosolen, the region's Councillor for Work, Training, Education, Research, University and Family. Project managers Maurizio Dunnhofer and Giulia Kandutsch completed the delegation. The EYOF is held on a biennial basis, with the 2019 winter edition scheduled to take place in Sarajevo and East Sarajevo in Bosnia and Herzegovina. Organisers presented a final progress report today, with the festival taking place from February 9 to 16 next year. It will be followed by Vuokatti in Finland, who will host the 2021 edition before passing on to Friuli Venezia Giulia. Azerbaijan’s capital city Baku will stage the Summer EYOF next year, with the multi-sport event taking place from July 20 to 28. Kosice in Slovakia with host the 2021 summer edition of the Festival. Koper in Slovenia was revealed as the sole candidate for 2023 at last year's General Assembly, but no update was provided regarding the process here today.